Henrikh Mkhitaryan has taken to social media to reveal his excitement at Arsenal’s Europa League draw against CSKA Moscow in the quarter-finals. Mkhitaryan helped the Gunners to book their place in the last eight of Europe’s second tier club competition as they look to try and reach the final in Lyon in May. Arsenal sealed a 3-1 victory over AC Milan at The Emirates on Thursday night to secure their spot in the quarter-finals. The north London side are currently outside of the top four places in the Premier League and so winning the Europa League this season looks like it will be their last remaining hope of being able to qualify for next season’s Champions League. 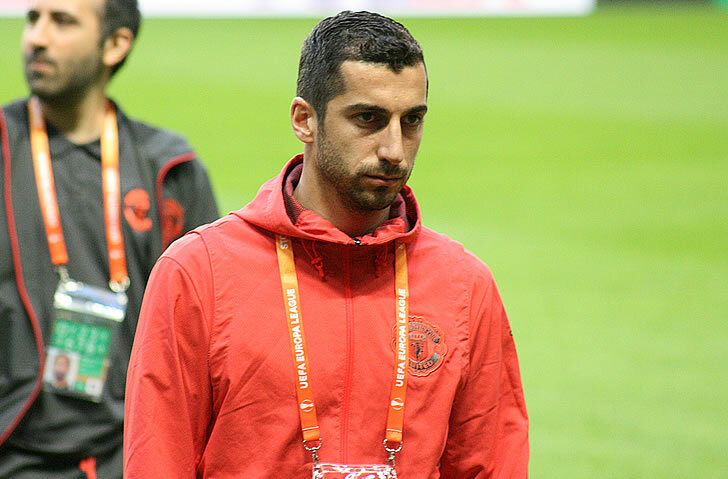 And Mkhitaryan, who signed for Arsenal from Manchester United in the January transfer window, is clearly looking forward to the quarter-final clash. Arsenal now have the weekend off as they prepare for their return to Premier League action against Stoke City with a home clash at The Emirates on 1 April. The north London side are in sixth place in the table as they look to try and finish as highly as possible in the top flight this season.